Get a Sierra County Traffic Ticket? You Can Beat It! Did You Get a Ticket in Sierra County, California? You can fight Sierra traffic tickets by getting them dismissed much easier than you may think. In Sierra, California, drivers are allowed to contest a traffic ticket using a Trial by Written Declaration. This is best way to fight a traffic ticket without going to an Sierra courthouse or hiring an expensive Sierra traffic ticket lawyer. We have found this to be the best way to contest a California traffic ticket, period. This option is available to every driver who receives a traffic ticket in Sierra, California. In fact, if you turn over your traffic ticket you will see that a Trial by Written Declaration is listed right on the back of your ticket as one way to fight it. This process has been around since 1978 to avoid having to pay traffic ticket fines. TicketBust has been helping California drivers prepare Trial by Written Declaration’s for over 15 years. In fact, tens of thousands of vehicle tickets in California have been contested using our system. We are the original traffic ticket fighter and the TicketBust system has been developed specifically to prepare all your documents properly based on how you answer a few questions. This way you can fight your ticket, knowing you have maximized your chances of having the court dismiss your Sierra County traffic ticket. When you contest a ticket using a Trial by Written Declaration not only don’t you need to go to court, but you don’t even need to take traffic school if the ticket is dismissed. If the ticket is dismissed, no point will appear on your driving record and the bail will be refunded to you in full. If the ticket is not dismissed and you are eligible for traffic school, then you should still be eligible after a Trial by Written Declaration. TicketBust service will prepare your full defense package for you, which includes your Trial by Written Declaration and all the defense documents required by Sierra traffic court. Fill out the yellow form to fight your Sierra traffic ticket now! Did you know that you aren’t allowed to pass the white limit line when you are stopped at an intersection? From our experience, this can be a common ticket issued in the county of Sierra, so be on the lookout and stay behind that solid white line. If you find yourself having received a traffic ticket in Sierra, give us a call or fill out our form to see how we can help! The area now known as Sierra County has been occupied for over 5,000 years. The Miwok tribe lived on the west side of the Sierra Nevada Mountains, while the Washoe tribe lived along the region that is now Eastern Sierra County. Cut-eye Foster’s Bar on the western boundary of Sierra County might very well be the first location to be settled by migrant miners, set up in either late 1848 or 1849. 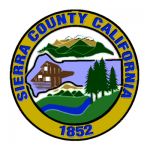 Two years after California became a state in 1850, Sierra County was created from Yuba County lands in 1852. It was during the depression of 1893 when the ranching industry took a large hit and dairying began in the valley, slowly growing into the primary industry of the area. Today, meadow hay, alfalfa, and beef cattle are still a large part of the eastern Sierra County agriculture industry. Although, the county is one of the smaller counties in California, Sierra County stretches 962 square miles and is surrounded by Nevada County to the south, Yuba County on the west, and Plumas, Lassen, and Washoe counties on the north, northeast, and east respectively. Due to most of the lands being used for agricultural purposes or being protected by the federal and local governments, only about 3,000 people live within the county, making the county the second least populous county in California. The area is home to portions of three national forests; Plumas National Forest, Tahoe National Forest, and Toiyabe National Forest. Mountain biking and river rafting have become significant businesses in the western portion of the county, while hunting and fishing remain constant throughout. Residents and visitors enjoy snowmobiling or other snow activities throughout the mountainous areas of the county during the winter.